Lavender Blueberry are one of the all-time customer favorites. Okay, who wouldn't love to have one of these little monsters?! Polar Bear macarons were a hit! These macarons were out of this world! These fun little pumpkins were so fun to make! Custom macarons that were dark gray with copper holly leaves. Macarons towers are elegant and beautiful! Raspberry rose macarons are beautiful and taste amazing! 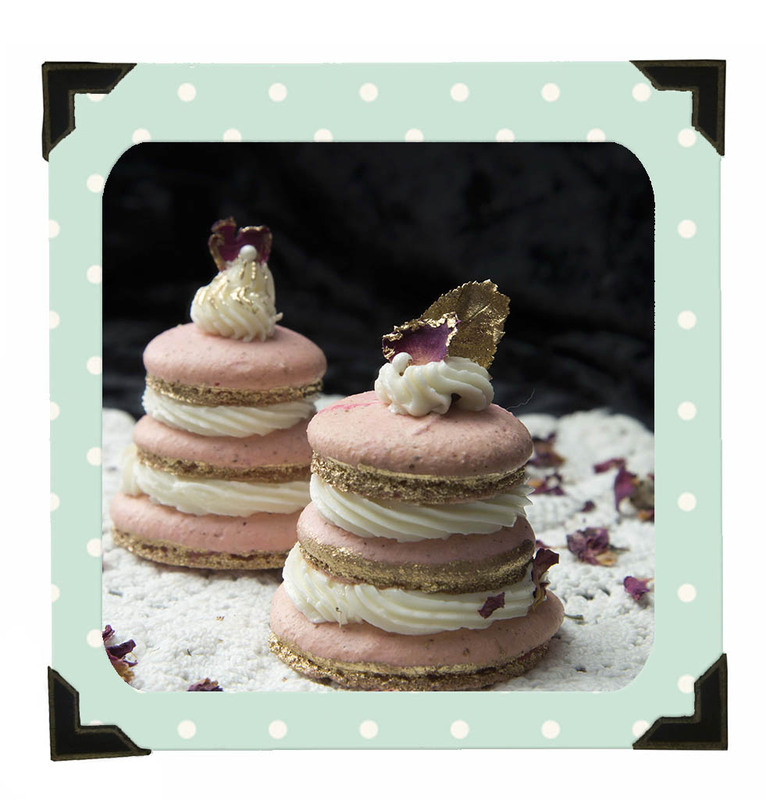 Mac stacks with raspberry and rose would make great favors! Unicorns are custom macarons. Aren't they adorable? Who says vanilla has to be boring!